I’ve long known that Latvia borders Russia, but I wasn’t expecting the motherland’s influence over dinner. At Kaļķu Vārti, a restaurant in Riga’s smart Centra Rajons district, I order the Friends Platter – which, as well as plenty of typical Latvian sprats and herring, lists ‘vodka’ amongst its highlights. I consult the waiter. ‘There is more drink than food’ the waiter replies pensively. ‘There is enough to drink for three persons, certainly, but maybe not enough to eat’. Daunted but undeterred, we push ahead with the Friends Platter, expecting to have become much better friends after consuming the 500ml of vodka accompanying it. Sure enough, amongst the glittering array of silver fish, crimson salamis and stack of gherkins, there’s a vial of vodka, large enough to be mistaken for a refreshing pitcher of mineral water. We might as well get stuck in. “Priekā!” we cry, toasting to each other’s health in Latvia. Believe it or not, Latvia’s national drink is actually beer. But Russia’s influence on Latvia remains strong. Ruled by the Soviet Union from the end of the Second World War until 1991, Russian is still widely spoken here. As well as perfect, idiomatic English, our guide Rei also chats to passersby in Russian, veering fluidly between three languages. The Soviet Union’s impact is visible in more concrete ways, too. 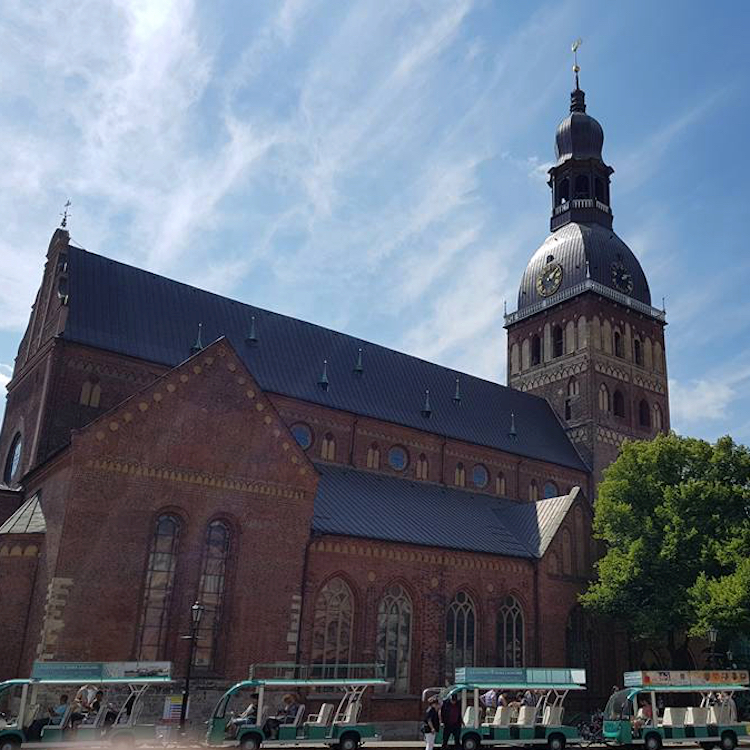 Lying on the Baltic coast, Riga has a predominantly Scandinavian feel, with a medieval Nordic centre slowly opening out to forests of Norwegian spruce. In between, however, are vast Soviet suburbs, brutalist tower blocks amassed imperiously around the city like armed guards. Here in Kaļķu Vārti, however, it’s the influence of the West which is most palpable. 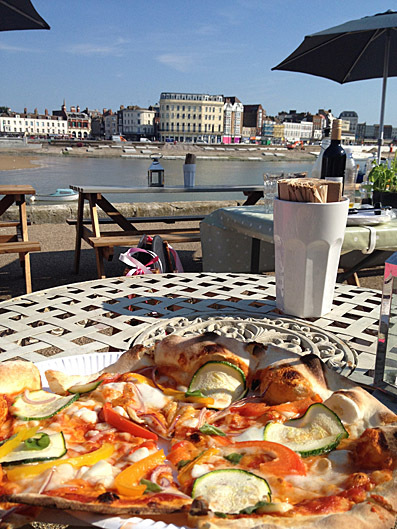 We’re comfortably seated on a street-facing terrace, surrounded by marigolds and olive trees, in a scene reminiscent of al fresco dining in France or Italy rather than the former eastern bloc. Elegant, exquisitely poised dishes complete the Mediterranean aspect. While Kaļķu Vārti pays homage to the hearty roast meats and root vegetables favoured in northern Europe, there’s a lightness to the food which lends the meal a summery touch. We enjoy slow-cooked pike in a punchy tomato vinaigrette, lamb medallions whose centre blushes a fiery tropical sunset pink, and king prawns so fresh that they crunch audibly when bitten. Not only do we finish the initial vial of vodka, by the time we finish our meal we find that we’ve somehow ordered more. Clearly the Friends Platter is effective. 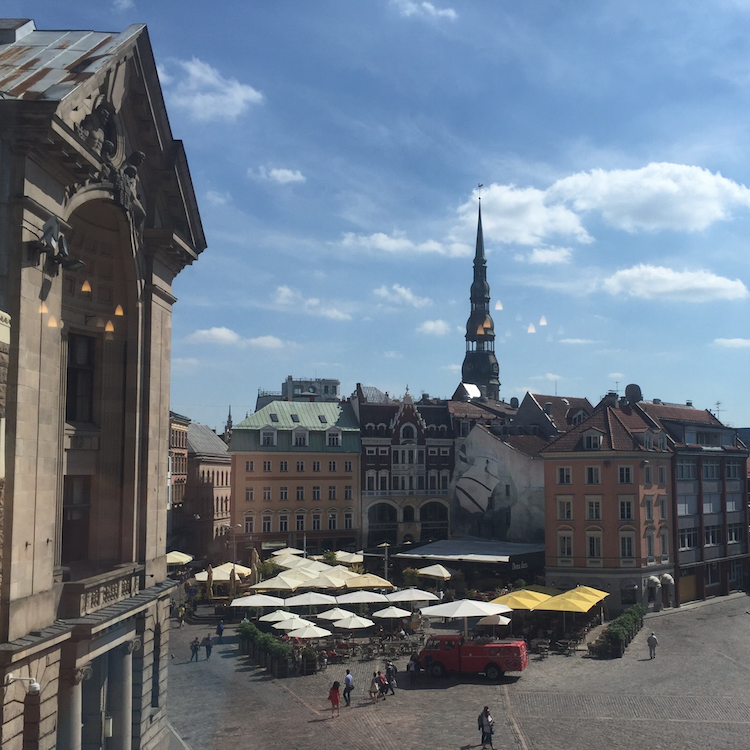 Riga makes for an excellent first foray into eastern Europe. For so long remote and culturally isolated, eastern Europe has been opened up to westerners, partly thanks to the emergence of low-cost airlines. WizzAir, of Hungary, have further driven down prices by bringing some competition to the market, and their twice-daily route to Riga is excellent value. 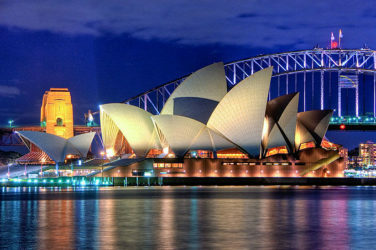 Once we’re in the city, we’re taken aback by its sheer beauty. The historical old town (known as Vecrīga), deservedly a UNESCO world heritage site, is a mesmerising mix of cobbled streets, townhouses with elaborate facades like tiered wedding cakes, dizzying spires and fairytale bridges, a living Medieval fantasy. On our first day, the temperature is almost in the thirties, a bright and warm Baltic afternoon. This outward charm, however, disguises Riga’s dark past. Sitting between Germany and Russia, it’s fair to say that Latvia could not have found itself in a worse position for the dramatic wars of the twentieth century. Taken by the Germans in the First World War, and then again in the Second and twice by the Russians, Riga suffered at the hands of great powers. Much of this history is very well-documented. The Latvian War Museum, housed in a 14th century Powder Tower with the 18th century cannonballs of Peter the Great still embedded in its walls. 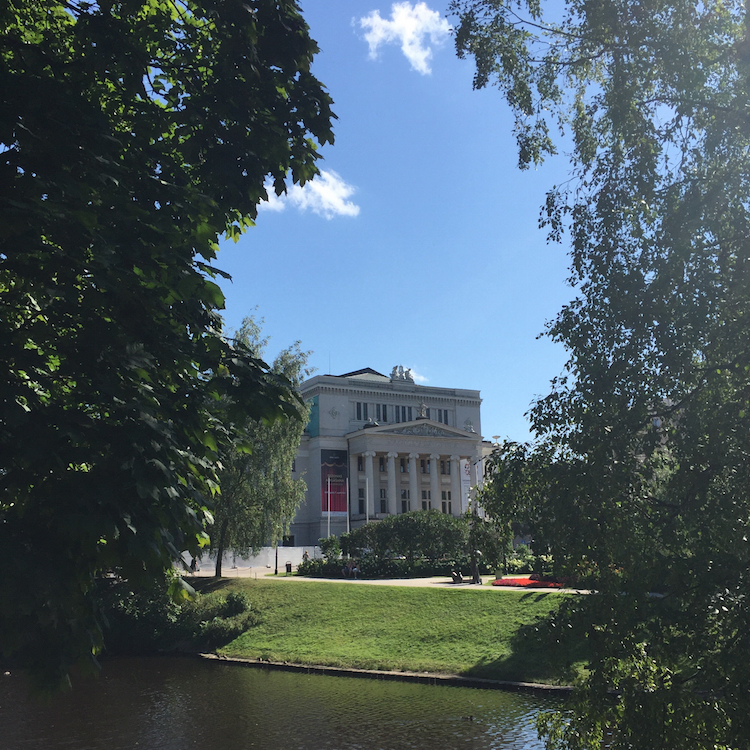 Inside, we find the narrative of Latvia’s history told across several exhibits across three floors, from Riga’s origin as a trading port in the Hanseatic League to its apocalyptic struggle in the 20th century. The highlight is the immersive First World War exhibit. Walking through the trench-like pathways, you are plunged into the nightmarish stalemate of the Great War. Prowling around the maze of horrors, you get a sense of how the country found itself fighting the German Empire, despite its large German-speaking population. Haunting photos, touching personal trinkets and tender annotations bring the day-to-day hardships of the trenches to life. It’s the best First World War exhibit I’ve seen for a very long time, and given that entry to the Latvian War Museum is free of charge, there’s no excuse not to visit. In the end, the guards shoo me out as the museum closes, and I leave vowing to return. 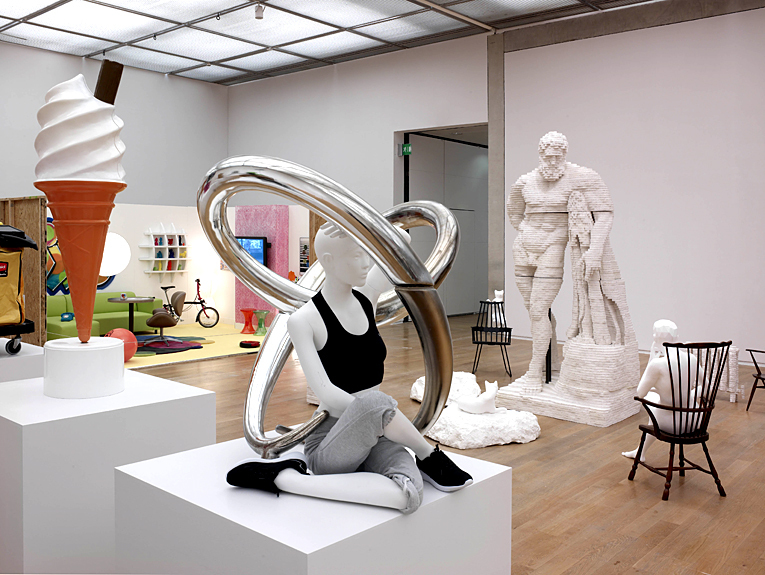 Chastened, we decide to bypass the Latvian People’s Front Museum in favour of art. 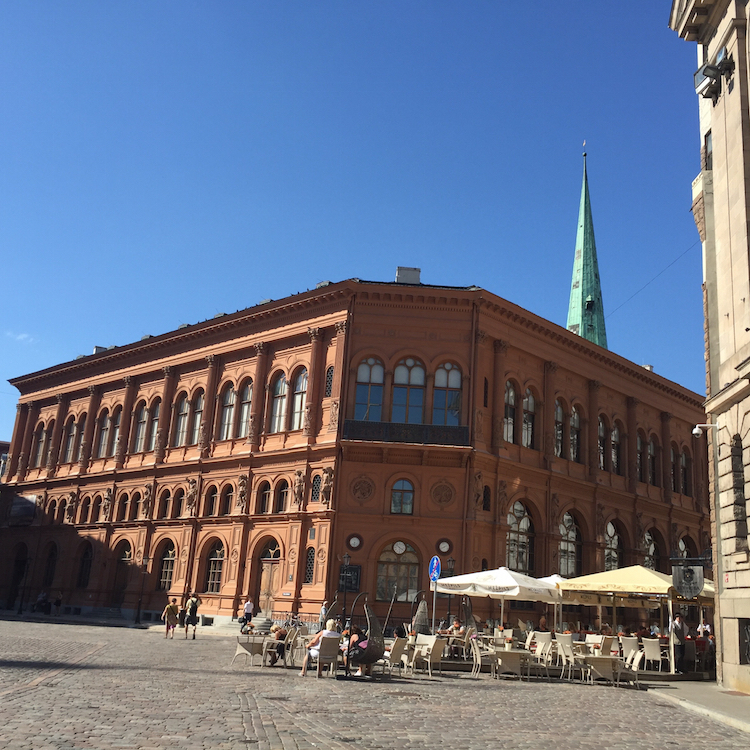 Riga’s stock exchange, the Bourse, occupies a corner of Doma Square, opposite St. Peter’s church and a smattering of well-heeled tourist bars. The bourse houses Art Museum Riga Bourse, an eclectic collection permitting entry for as little as €3. Elegant halls house modernists like Monet and Rodin, an incredible Oriental exhibit with ornate samurai swords and Chinese marionettes, and a permanent exhibit dedicated to the work of Nicholas Roerich. I’d never heard of Roerich before, but his art was unquestionably the most powerful we saw in the Bourse. 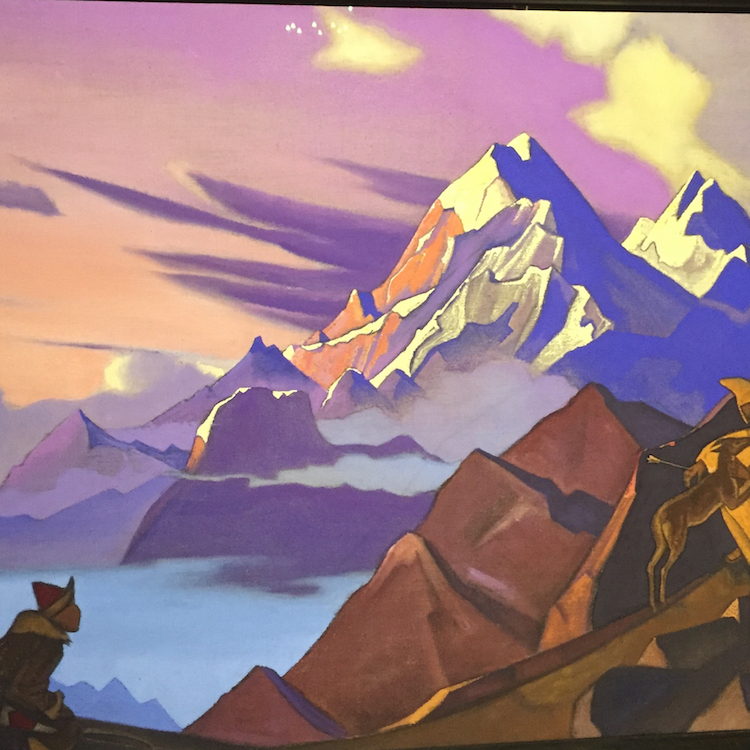 A Russian mystic, Roerich lived for many years in the Himalayas, and his striking paintings of life in the mountains have a hypnotic potency. Bold purples and clear-cut lines, reminiscent of the shapes of futurism, give the steep-shouldered mountains strong personality, so that by the end each one has the distinct character of an individual person. After tearing ourselves away, the real world suddenly seems drab by comparison. We’re brought back to life by a hearty lunch of traditional Latvian fare. Lido might be a chain, but the freshly-cooked food and impressive Latvian beer make for an excellent meal. I eat a crispy pig’s trotter, the size of a grapefruit and covered in dark pink crackling, served with hand-cut potato wedges and a moreish mint and dill sauce. Tumsais, a honeylike rye beer with deep notes of leather, is an excellent accompaniment. Together the meal and drink cost under €8. As the sun sets, we get a taste of Riga’s nightlife. Young people throng the streets, enjoying beers in the last rays of daylight. The temperature plummets, and we descend into Ala Pagrabs, a candlelit subterranean cavern of folk music which looks as if it might be unchanged since the days of the Hanseatic League. We take our seats on majestic wooden thrones atop cold flagstones, swigging vast pitchers of ale. Ala Pagrab’s magisterial selection has everything, from stouts to wheat beer, served in glasses, tankards and two-litre pitchers. After sampling a few of them, it suddenly feels as though we’re huddled in a Hobbit-hole in Middle Earth. It’s a wonderfully atmospheric place. The food is just as comforting. A creamy pearl barley and onion risotto punctuated by crimson shards of smoked gammon is a big bearhug of backslapping flavours; coarsely-ground traditional Latvan meatballs dripping with a syrupy onion-tomato cream glaze are irresistible, and a Dundagas royal stroganoff featuring three meats in partnership with mustard mash and caramelised parsnips is soothingly rich. All of these dishes are bested by a simple bar-snack, listed humbly on the menu as ‘Latvian garlic bread’. Forget about those sarcastic soggy baguette-disks your mum serves with spag bol. Latvia’s interpretation of garlic bread is phenomenal, its savoury uppercut making a strong case for best bar snack of all time. Deep-fried strips of chunky sourdough, the golden outer layer a lattice of oil and fat, are dipped into a cool pool of accompanying garlic aioli, embracing in an ecstatic union of umami. For about fifteen minutes, they’re all we can talk about, and without hesitation we order another plate the moment the last baton has been seized from the platter. And we order another one after that. Emerging into the brisk night several hours later, we spot plenty of places we could go for a dance but, full as we are of garlic bread and stroganoff and beer, we decide to sleep. We’re staying in an Airbnb, located on the fourth floor of a sprawling town house just outside of the old town. The next morning is another bright one. With their smart townhouses and cheerful trams, wide-open streets are reminiscent of Copenhagen or Amsterdam. The Scandi-cool aspect continues as we breakfast in Big Bad Bagels, a hipster bagel joint in the new town. Suddenly, we could be in Shoreditch: cool branding of a cartoon wolf chomping on a bagel, a chatty English menu boasting of vegan friendliness and hand-made bagels, and a trendy clientele. After choosing my bread type and filling, I’m delighted by my deep-filled disc of bacon, cream cheese and egg. There’s even a pair of genuine New Yorkers seated a few tables away from us, obsessively discussing each aspect of the bagel – its thickness, its plumpness, the size of its central hole – in voices tinged with awe. Clearly Big Bad Bagels is the real deal. After breakfast, we take one last stroll through Vecrīga, the old town. 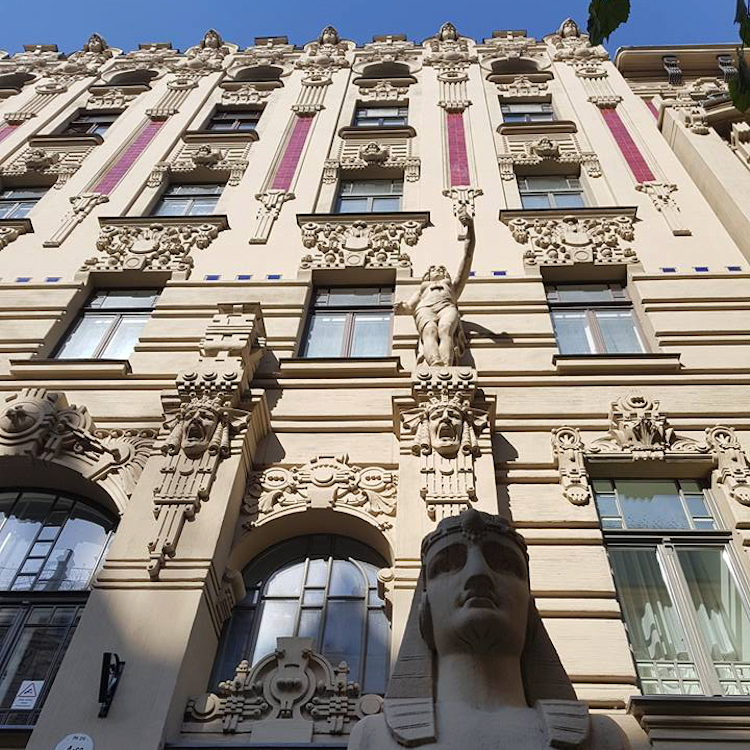 Riga has the largest and best-preserved collection of Art Nouveau buildings in the world. Defined by its blurring of decoration and structure, we’re shocked by the looming faces and wide-open mouths which punctuate the lofty buildings. 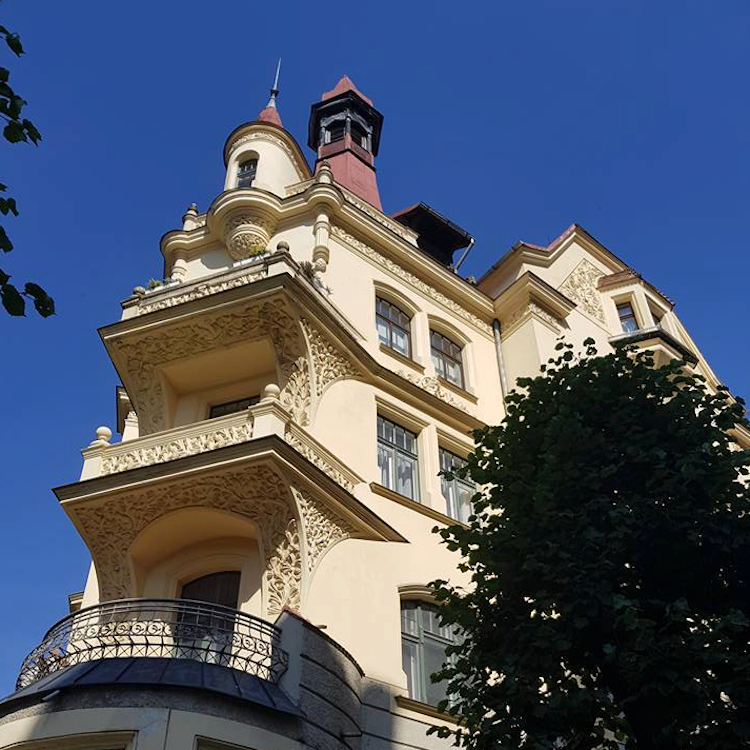 These otherwise-quiet residential streets are defined by groups of tourists standing in the middle of the pavement, pointing and staring open-mouthed at the bizarreness of the facades. Heads emerging from the plastered facades is a fitting final image of Riga, a city teeming with surprises. 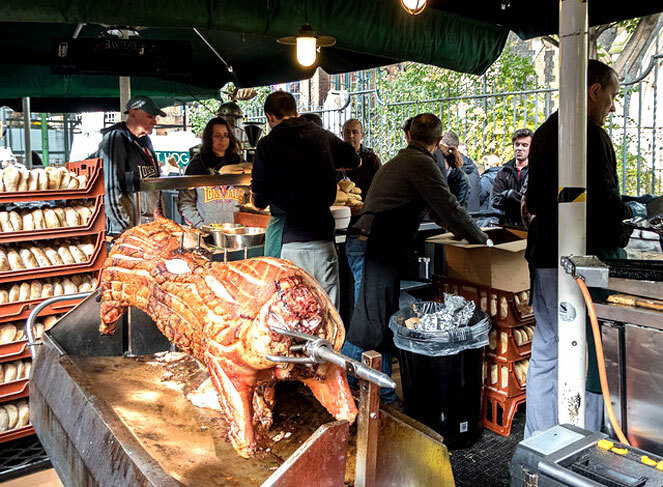 With such a varied cultural attractions, hearty food and truly excellent beer, it’s the kind of city that keeps you coming back.